The Rady School of Management welcomes Robert Sanders as an Assistant Professor of Marketing. Sanders joins the Rady School from the University of Chicago where he earned his Ph.D. in Business Administration in the Quantitative Marketing and Economics track. He will teach Research for Marketing Decisions for the MBA program in fall 2018. Sanders research has focused on pricing and how marketing problems intersect with public policy, specifically in the context of the digital age. He has studied the problem of food waste at retail grocery stores and has examined how consumer misinformation contributes to the pricing of national branded products compared to store-brand products. He is currently conducting research on the pricing of ride sharing services and online dating apps. In addition to his Ph.D., Sanders earned a B.Sc. in Economics (with distinction) from the University of Pennsylvania, Wharton School of Business. Along with Sanders, Raymond Pettit, an accomplished advertising, media and marketing research expert, joined the Rady School during the summer as the Executive Director of the Master of Science in Business Analytics (MSBA) program and the Center for Business Analytics. The Master of Finance (MFin) program at the Rady School of Management was ranked by the Financial Times as one of the top MFin programs in the world. The Financial Times ranking is the first major ranking for the Rady School MFin program, which launched in 2014 and was eligible to be ranked by the publication for the first time in 2018. The Financial Times used data from the school’s first MFin class for its 2018 ranking. The program received high marks for its percent of female students (highest among U.S. ranked schools), international students (3rd highest among U.S. ranked schools) and international faculty (2nd highest among U.S. ranked schools). It the only MFin program ranked in California and it placed 14th in the U.S. and 65th globally. The Financial Times Master of Finance ranking is a highly-regarded ranking based on information provided by schools and a survey of school MFin alumni. The school survey constitutes 42% of the ranking’s total weight, while the alumni survey 58% of the ranking’s weight. The Rady School MFin program provides rigorous, hands-on training to prepare graduates to immediately contribute in environments where quantitative and analytical skills are at a premium. Students learn leading-edge methods for analyzing big data for financial decision-making and risk management. The program’s emphasis on quantitative models and methods ensures graduates are equipped to develop innovative solutions to the complex problems facing the financial industry. 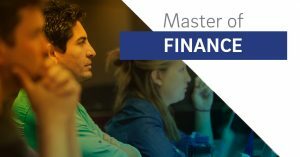 For more information about the Master of Finance program at the Rady School, visit the program website. Ken Wilbur, an Associate Professor of Quantitative Marketing and Business Analytics at the Rady School of Management, recently worked as an advertising expert in the AT&T – Time Warner anti-trust case. The case, described as one of the most influential antitrust cases in recent history, was decided on June 12, 2018 with a federal judge approving the merger. In a Q & A, Wilbur provided some insights and described the role he played in this landmark legal case. Q: I understand you worked as an expert on U.S. v. AT&T, the court case that challenged the merger between AT&T and Time Warner. How would you describe the case? Q: What were the major issues in the case? A: There were a lot of issues, but one of AT&T’s main arguments was that they require scale to create a new advertising platform to compete with tech giants like Facebook and Google to sell ads. The government challenged the merger partly on the basis that AT&T could reduce competition and raise prices in the online video market by preventing competitors from carrying popular cable networks. Q: What was your specific role in the case? A: Each side employed a handful of experts. The role of the experts was to write reports and answer questions on specific topics to explain their side’s position to the judge. There were also multiple rounds of rebuttals between teams of experts on each of the major issues in the case. Q: Is it common for Rady School faculty to work on legislation like this? A: The university faculty’s main functions are research, teaching and service. Sometimes, the service mission includes helping companies, courts, regulators, non-profits, or other groups to perform their functions more effectively, for the good of society. Faculty with specific expertise sometimes get asked to apply that expertise; that’s part of the job. Research conducted by Michael Callen, Rady School of Management Assistant Professor of Economics and Strategic Management, is being used in Afghanistan to combat government corruption and ensure government workers receive payment for their work. 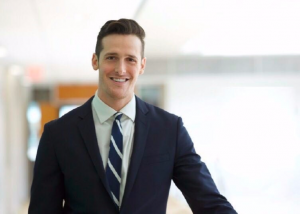 To combat lost wages and corruption, Callen and his fellow researchers conducted a pilot study using mobile salary payments (MSPs) to pay workers at the Ministry of Labor in Afghanistan. MSPs allow employees to receive their salaries directly via mobile money. Callen’s research is critical for the strengthening Afghan state institutions and guaranteeing service delivery, factors viewed as critical for creating peace and stability in the country. The preliminary results of that study indicate that using MSPs to pay workers could save the government hundreds of thousands per month, reduce travel cost associated with getting paid and provide salaries in a timelier manner. Because of Callen’s research, the use of MSPs is being written into agreements for future aid and is driving international policy. Callen’s research is especially important because the U.S. sends more money to Afghanistan than any other country, yet there is little accountability for how that money is spent. The Afghan government spends 59.5 percent of its annual $7.3 billion (in U.S. dollars) budget on salaries. The international community covers about $5 billion of the Afghan annual budget, with most of the remaining $2.3 billion coming from domestic revenue. It is estimated that 40 percent of this money is lost to corruption. This is especially problematic with the payment of government workers, such as police, military and administrators. These agencies often pay “ghost” workers – fake employees added to the payroll so that others can capture their salary. Delays in payment, garnishments, and payments to ghost employees are common problems in paying government employees in Afghanistan. Many of these issues stem from the fact that most of the salary payments outside urban centers happen in cash as part of a “trusted agent” system. In this system, instead of paying employees directly, the governments make a transfer to a bursar, who is in charge of then distributing cash. The problems using existing trusted agent system are widely recognized, but transitioning all government workers to bank transfers is a challenge. Only four percent of Afghans use a bank account, however, 74 percent of Afghans have a mobile phone. This makes public employee payments in Afghanistan ideally suited for MSPs. Callen’s research has proven that MSPs are effective for government workers in Afghanistan and the Afghan government is implementing a large reform to start paying all government salaries with mobile money. The goals of this wide-scale reform are to eliminate ghost workers, reduce salary leakage, improve the payment experience and create an inclusive digital payment system appropriate for Afghanistan. The reform has been approved by the President’s High Economic Council, and milestones in the reform are being added as conditions for future assistance from the U.S. and the World Bank. The hope of using MSPs for all Afghan public employees is that in addition to saving the money and fighting corruption, the ability for the government to more accurately deliver payment will strengthen the delivery of services and effectiveness of the Afghan state. Terrence (Terry) August, associate professor of Innovation, Technology and Operations at the Rady School of Management, recently received the Sandra A. Slaughter Early Career Award from the Information Systems Society (ISS). The award recognizes and honors early career individuals who are on a path towards making outstanding intellectual contributions to the information systems discipline. Award recipients were considered by the awards committee on the impact of their publications on theory, research, and practice; leadership reflected by editorial appointments; and intellectual contributions that provide a platform for future success. In addition to associate professor August, Prasanna Tambe of New York University and Jianqing Chen of the University of Texas at Dallas. The spirit of the award is to honor the memory of the Late Professor Sandra A. Slaughter who was tireless in her pursuit of recognizing the potential leaders of the “next generation” of information systems academics. August’s research broadly spans information systems and operations management with current interests in the economics of network software, production and service management, pricing and policy associated with network goods, and the interaction of digital piracy and security risk. Currently, he is investigating the control of information security risk using economic incentives. August has co-founded two information technology start-up companies and worked in research and development and operations for the Clorox Company. He has consulted for Honeywell, GlaxoSmithKline, Herbalife and Time Warner Cable. He received a 2010 National Science Foundation CAREER award. It will provide $530,000 in research funding and was granted by the National Science Foundation (NSF) Directorate for Computer and Information Science and Engineering, under the Trustworthy Computing program. August received his Ph.D. in the field of operations, information & technology from the Graduate School of Business at Stanford University in 2007. Are Certain Cities More Prone to Financial Misconduct? U.S. companies examine many elements in deciding where to locate their businesses – everything from the cost of labor, taxes, real estate prices and utilities to non-cost factors like workforce skill level, infrastructure, regulations, cost of living and quality of life. But, is there a way to determine which city has the most reliable, scrupulous employees? New research from Associate Professor Christopher Parsons at the Rady School of Management examines how the culture of a city contributes to the trustworthiness of employees. Financial misconduct rates differ widely between major U.S. cities, about as much as between industries. Using a dataset of financial misconduct collected since 1970, Parsons and his fellow researchers found that financial mismanagement disproportionately clusters in certain cities. They also determined that city-level culture, rather than differences in enforcement or company characteristics, best accounts for these patterns. Parsons examined the culture of the cities by using the behavior of its residents, such as spousal infidelity, rather than the population attributes like age, wealth or religious background. For example, financial misconduct rates are strongly related to other unethical behavior in the city, involving its politicians, doctors, and (potentially unfaithful) spouses. The unethical behavior was measured by data on federal convictions for corruption-related crimes by elected officials, information on doctors who receive payments from drug companies and their subsequent prescriptions, and data on registered users of the extramarital affair website Ashley Madison. The research found that Miami, St. Louis, Dallas, Houston, New York, Los Angeles, Washington, D.C., Denver, Chicago and San Francisco are cities where financial misconduct is most prevalent. Indianapolis, Seattle, Minneapolis, Cleveland, Atlanta, Boston, Orlando, Phoenix, Philadelphia and Detroit had the least amount of financial misconduct. The research suggests that city-specific culture factors play a role in the trustworthiness of employees – a valuable lesson for companies when determining where to locate. 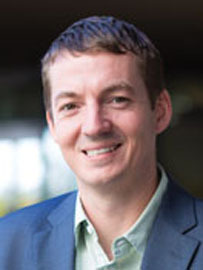 Prior to coming to the Rady School, Parsons was an Assistant Professor of Finance at the Kenan-Flagler Business School at the University of North Carolina at Chapel Hill. Before his position at the Kenan-Flagler School, Parsons was an Assistant Professor of Finance at the Desautels Faculty of Management at McGill University, Montreal. Parsons earned his Ph.D. in Finance at the McCombs School of Business at the University of Texas at Austin. He earned his B.S. with Highest Honors in Chemical Engineering. The Rady School of Management at UC San Diego and the Jacobs School of Engineering are partnering to present the Technology Management and Entrepreneurism fellowship program, a four-course, 16-unit program which brings together engineering graduate students with MBAs to bring ideas from conception to commercialization. The program will give engineering students a solid understanding of business fundamentals and prepare them to apply their existing knowledge to a real project, while giving MBA student access to technologies with commercialization potential. The fellowship is offered to UC San Diego M.S. and Ph.D. engineering students. It begins with two business fundamentals classes, followed by the Rady School’s signature Lab to Market course sequence. In the Lab to Market practicum sequence, engineering students work in teams with MBA students to develop ideas for new startups or to improve some aspect of an existing company. The Technology Management and Entrepreneurship fellowship program is an initiative of the Institute for the Global Entrepreneur, a partnership between the Rady School of Management and the Jacobs School of Engineering which aims to create influential engineers who will drive commercially viable innovation. “Creating cross-functional teams of MBAs and engineers presents a win-win for utilizing the relevant strengths of the Jacobs and Rady Schools to move from innovation to impact and generate local, national and global impact,” said Rady School Professor of Marketing On Amir. The program will begin in the Spring Quarter of 2016 and will end in the Spring Quarter of 2017. Students who complete the required courses will be recognized as Technology Management and Entrepreneurship Fellows and awarded a certificate of completion. Melinda Battenberg is the Public Relations Representative at the Rady School of Management. In her free time Battenberg enjoys cooking, craft beer and spending time with her family. The Rady School of Management at UC San Diego today announced that Rossen Valkanov, Professor of Finance, has been appointed as the inaugural recipient of the Zable Endowed Chair in Management Leadership. The Zable Endowed Chair was established from a bequest from Cubic Corporation founder Walter J. Zable and his wife, Betty C. Zable, to support faculty recruitment, teaching, and research activities and to support the creation of new models for management education at the Rady School of Management. “The appointment of Rossen Valkanov as the inaugural Zable Endowed Chair in Management Leadership reflects his innovative approach to research, his commitment to management education and his contributions to the Rady School and the entire UC San Diego community,” said Rady School Dean Robert S. Sullivan. In 2013, the Zables gave $6.05 million in a bequest to UC San Diego. $1 million of the gift established the Zable Endowed Chair in Management at the Rady School. An additional $1 million of the gift established the Zable Endowed Chair in Energy Technologies at the Jacobs School of Engineering. The UC San Diego Shiley Eye Center received $100,000 of the gift. The remainder of the gift, $3.9 million, was allocated by the UC San Diego Foundation at the Chancellor’s request to establish the endowed Zable Scholarship and Fellowship Program for UC San Diego students. Walter J. Zable, who died in June 2012 at the age of 97, founded San Diego-based Cubic Corporation in 1951 and served until his death as chief executive, chairman and president. Walter J. and Betty Zable have been generous supporters of UC San Diego since 1966, giving $7.2 million to support a variety of UC San Diego campus programs, the Scripps Institution of Oceanography and Health Sciences. The Rady School of Management was one of several schools recently selected by the Behavioral Science & Policy Association (BSPA) to host a “Behavioral Science and Policy Series” to identify potential ways to apply behavioral science to federal public policy. David Schkade, who holds the Jerome Katzin Chair at the Rady School, serves on the BSPA’s Executive Committee and helped bring the series to the school. Through the BSPA series, working groups of researchers will deliver white papers that will propose how behavioral sciences can be applied, tested and implemented into federal programs. The launch of the BSPA series was announced in conjunction with two other actions the federal government is taking to integrate behavioral science into its programs. The federal agency charged with studying the impact of using behavioral science on federal programs, the Social and Behavioral Sciences Team, released its findings that applying behavioral science research to government programs made them easier to access and more user-friendly. In conjunction with the team’s report, President Barack Obama issued an Executive Order that directed federal agencies to incorporate insights derived from behavioral science to improve the effectiveness and efficiency of federal programs. Prior to the Executive Order, the BSPA hosted a policy summit and conference that brought together the luminaries of behavioral science research and top policy makers, including UN Ambassador Samantha Power and the Social and Behavioral Sciences team. Although the topic of the BSPA’s Behavioral Science and Policy Series at the Rady School has yet to be determined, Schkade’s own research has demonstrated the powerful impact behavioral science can have on guiding public policy. Schkade’s organ donation work found that potential organ donors get screened for diseases, but were being over screened and thus too many eligible people were being rejected. The Rady School of Management at UC San Diego was ranked 1st in San Diego for its Full-Time MBA program by Bloomberg Businessweek, ranking 6th in California and 65th nationally. The Rady School’s Full-time MBA program was the only full-time program in San Diego to be ranked by Businessweek. Bloomberg Businessweek ranks business schools based on data from five sources: employers who recruit MBA candidates (35%), full-time MBA alumni (30%), graduating MBA students (15%), and employment placement (10%) and compensation (10%) data provided by the schools. “The Bloomberg Businessweek ranking represents the quality experience of all constituents, including students, alumni and employers,” said Rady School Dean Robert S. Sullivan. The Rady School’s unique MBA program is tailored to professionals, often having science and technology backgrounds, who have an interest in innovation and entrepreneurship. The program provides students with the inspiration, business acumen, and faculty and alumni support to achieve a significant impact. A large number of Rady students go on to establish startup ventures or work with small, entrepreneurial companies.